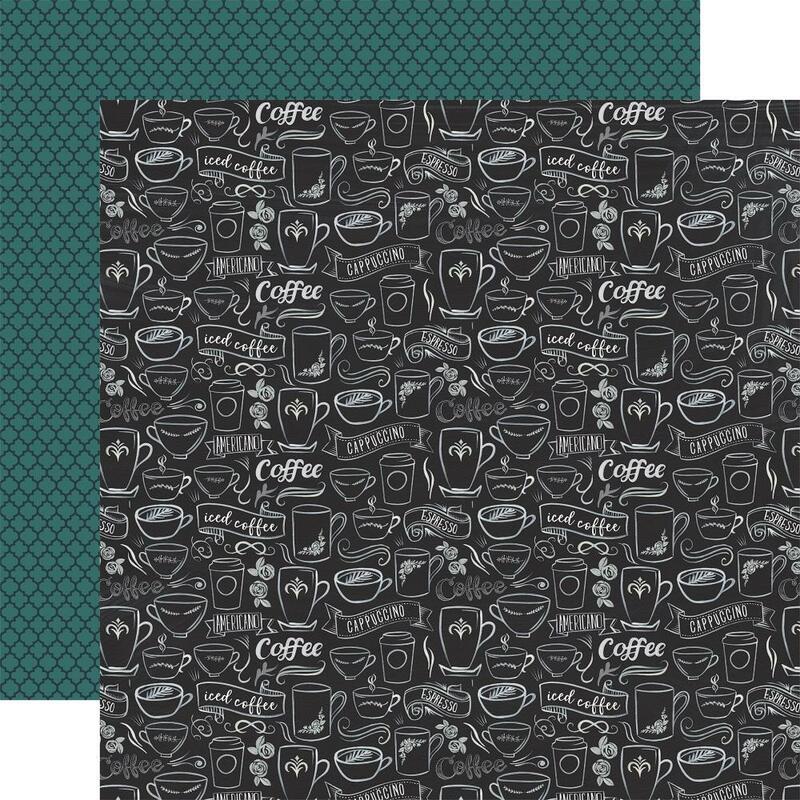 This 12x12 double sided paper has Coffee Icons in Black & White. The reverses die has a Green Pattern. Part of the Coffee Collection by Echo Park. Look for coordinating Single Sheets.